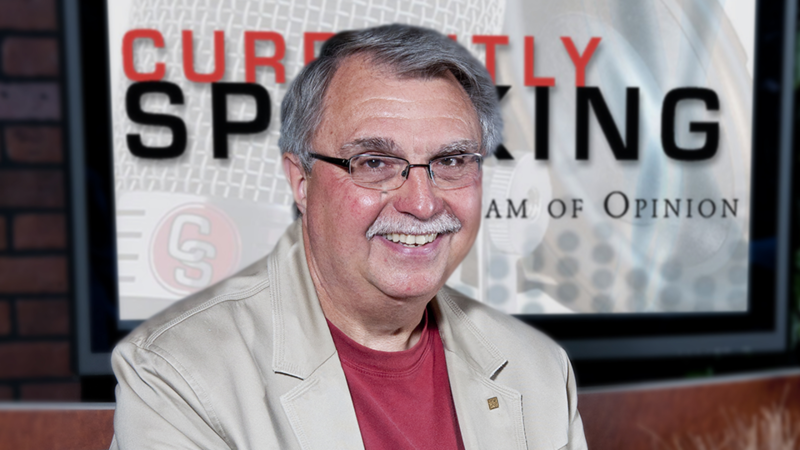 Currently Speaking viewers and recurring guest Jim Johnson continue the discussion from our October 5 show. I am so glad that Ms. Bachman has no problem wielding the Bible to support her position. I wonder what she would think of these interpretations? "Honour thy father and thy mother: that thy days may be long upon the land which the Lord thy God giveth thee." (Exodus 20:12) Do you really think God meant just your own mother and father? This was a commandment that spelled out the responsibility of the younger generations to hold their elders in respect and to provide for their needs in their later years. We are to acknowledge their wisdom and also the contributions made by our elders to our society. This is a contract that helped ensure the continuation of the "tribe" or nation. Go ahead, cut Social Security and Medicare - grandma likes the taste of cat food, anyway. As you have stated several times, Jesus was an advocate of the poor and the disenfranchised. How can these people who hold themselves up as Christians possibly deny how contrary to the teachings of Jesus their political stances have become? Also, am I that unintelligent that I recognize what a "plus" healthcare for everyone is across the board? Heathly employees = increased productivity = decreased lost time due to illness = lower healthcare costs, etc. - what would that do for the GNP and/or economy overall? A few days ago I went to Healthcare.gov and filled out the form. Big mistake! At the bottom of the page it ask for my phone number, then there is a continue icon, which I clicked. Up comes a large list of major insurance companies. Want to know how many times I was solicited? I have Medicare but being just above the poverty line on Social Security I felt I should try and get affordable insurance for my wife, whom has none. The average price? $472 a month! What? So I then sought out Medicaid. Although the State of Michigan expanded the Medicaid funding, Medicaid eligibility goes by your assets, and not your income! What? Own property, have a motorbike, snowmobile, etc., Come on! Are you kidding me? You mean a man sleeping in a cardboard box in the street, whom has never paid a dollar in taxes (and I am not begrudging him of Medicaid) can get Medicaid, but my wife cannot? I am 67, we have accumulated things over the years. Now I am supposed to give some of it up? What happened to the low income affordable healthcare? The Affordable Care Act is approx. 1432 pages long. Reading most of it takes a doctorate degree! The 1.2 trillion dollar bill added to our giant debt is preposterous! And that does not include the State's Earmarks in the billions for everything from paving roads to revamping and building new Government offices! All in all, the Affordable Healthcare Act (as I see it) is just another way my Government (Federal and State) has found to crawl deeper into bed with the Insurance companies. In closing: You can defend this thing forever, but it will not make you right! Ex: Have you ever seen the book of forms one has to fill out for Medicaid just to be rejected! I think not. Do You Need a License to Sell Ammunition? You have to get an FFL (I think it's a Type 07, as long as you're not planning on making armo-piercing ammo). That fee's pretty reasonable - I think it's something like $150 for three years. You also have to register with ITAR, even if you're not going to be exporting ammo. The fee for that starts at $2250 per year. There's also a Federal Excise Tax of 11% on all the ammo you make. I *think* the only way to avoid this is if the customer provides the brass, and you reload *those exact same cartridges* and then sell them back to the customer. Then there's the biggie - insurance. I'll let others chime in on just how much you need, but I'd say that $1 million would be the bare minimum. You'll also have to deal with a lot of federal, state and local regulations regarding what quantities of components you can have on hand, how they have to be stored, etcetera. How Long Is the Affordable Care Act? And for the record, Cruz is an idiot... With respect to the email on the length of the Affordable Care Act, this article form the Leader-Telegram deals with the conservative tripe over the "length" of the bill. As the author points out the alleged "2,400" or "2,200" page legislation is actually less than 1,000 pages.. 906 pages to be precise. If the viewer wishes a link to the article including a link to the actual PDF of the act, it is included as well. To double-check the 906-page figure, I visited the Obama administration’s website for the law, HealthCare.gov. Clicking on the “Full Text of the Affordable Care Act” link yields a 974-page PDF. The 68-page discrepancy puzzled me, until I read the full title at the top of the document, which noted that it included “Health-Related Portions Of The Health Care And Education Reconciliation Act Of 2010.” As you may recall, the Democrats’ loss of a supermajority in the Senate in early 2010 led to parliamentary gymnastics to pass an amended version of the bill in a way that avoided a Republican filibuster; this was done through the so-called “reconciliation” process, which limits debate on spending bills. As far as I can tell, including this reconciliation act makes the document a bit longer. So where did the 2,400-page number come from? The Affordable Care Act, as you’ll recall, was the subject of much debate and alternation in Congress during Obama’s first year in office. One early version of the bill (that’s the bill, not the law) -- known as House Resolution 3590, as amended by the Senate -- ran to 2,076 pages. A subsequent version of this bill, passed by the U.S. Senate Dec. 24, 2009, was 2,409 pages long. Voila! That’s where the elusive, often-cited figure comes from. So, while it’s not accurate to call the “Obamacare” law 2,400 pages, it is correct to call one version of the bill 2,400 pages. Confusing, I know. 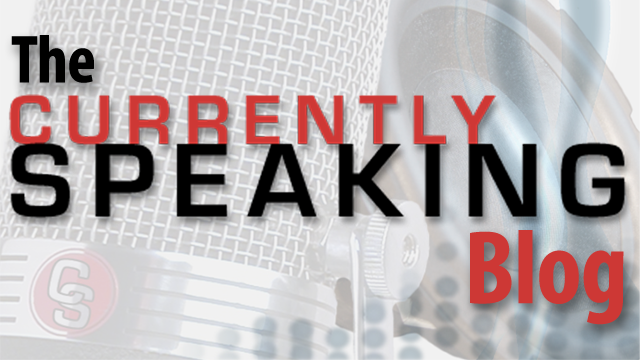 If you couldn't get on the show, but would like to share your opinion, please send it to currentlyspeaking@delta.edu.